VietPress USA (Jan. 28, 2018): Today on Monday, Jan. 28, 2018, the Deuty Director of FBI, Andrew McCabe, suddenly resigns and the White House declared that President Trump is not related to his resignation. Trump had criticized McCabe and wanted to fire him before. 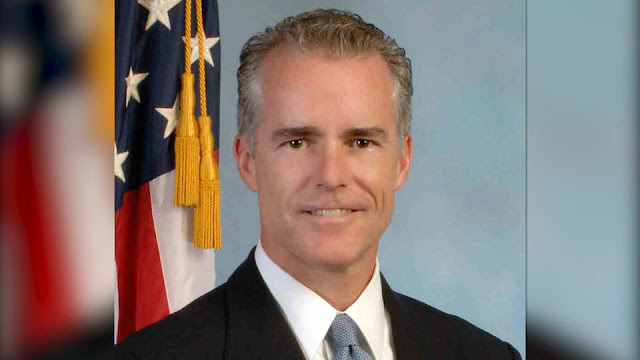 (CNN) The surprise resignation of deputy FBI director Andrew McCabe on Monday is simply the latest evidence that President Donald Trump not only expects total loyalty from his Justice Department but suspects anyone who doesn't show that fealty may be part of some sort of anti-Trump "deep state" conspiracy. Doubt it? Remember what, exactly, McCabe did that drew Trump's ire initially: His wife ran for office in Virginia. Back in 2015, McCabe's wife, Jill, ran unsuccessfully for a seat in the Virginia state senate. A PAC affiliated with then-Virginia Gov. Terry McAuliffe moved almost $500,000 to her campaign. "Problem is that the acting head of the FBI & the person in charge of the Hillary investigation, Andrew McCabe, got $700,000 from H for wife!," tweeted Trump on July 25. The following day, he tweeted this: "Why didn't A.G. Sessions replace Acting FBI Director Andrew McCabe, a Comey friend who was in charge of Clinton investigation but got big dollars ($700,000) for his wife's political run from Hillary Clinton and her representatives. Drain the Swamp!" Two days before Christmas last year, Trump was back at it. "How can FBI Deputy Director Andrew McCabe, the man in charge, along with leakin' James Comey, of the Phony Hillary Clinton investigation (including her 33,000 illegally deleted emails) be given $700,000 for wife's campaign by Clinton Puppets during investigation?" he tweeted. Trump wasn't done. "FBI Deputy Director Andrew McCabe is racing the clock to retire with full benefits. 90 days to go?!!!" he tweeted later on December 23. Finally, on Christmas Eve, Trump quoted Fox News Channel on McCabe: ". @FoxNews-FBI's Andrew McCabe, 'in addition to his wife getting all of this money from M (Clinton Puppet), he was using, allegedly, his FBI Official Email Account to promote her campaign. You obviously cannot do this. These were the people who were investigating Hillary Clinton.'"